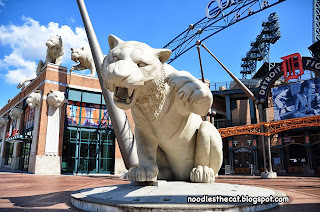 When I told people about our upcoming visit to Detroit, I got frowns and even condolences. 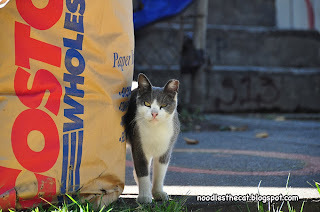 I must admit I had some preconceived notions of the city myself. 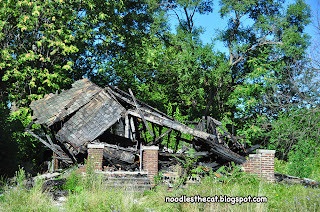 Upon arrival we drove by abandoned homes, often burned down, that seemed to reaffirm the general image of Detroit. Granted, poverty stricken areas and dilapidated houses are a reality. However, merely focusing on those aspects does Detroit no justice. The city’s downtown area boasts a vibrant atmosphere and beautiful historical architecture. 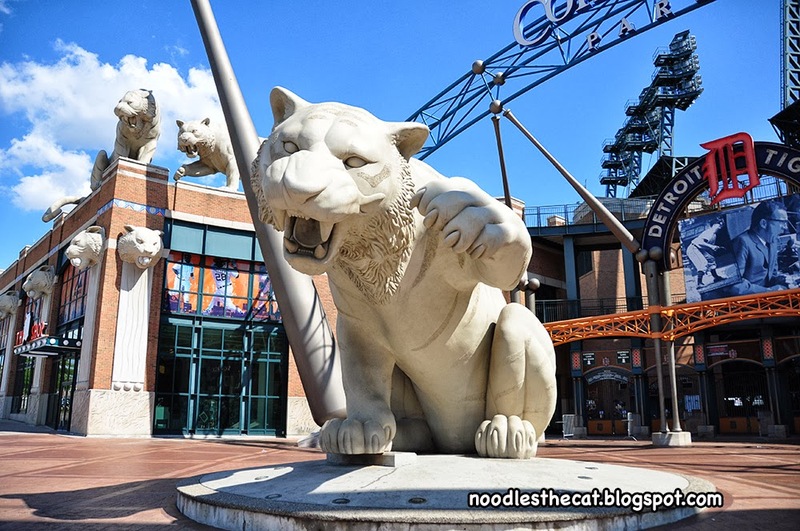 It’s also the home of the Detroit Tigers. 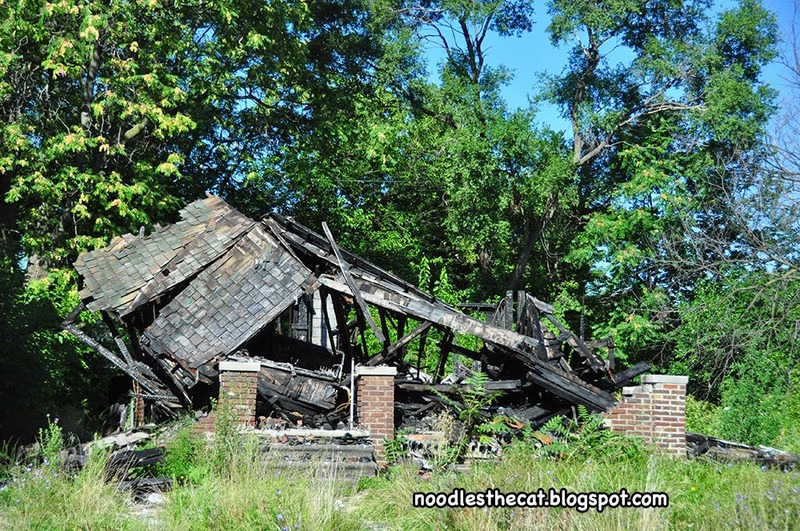 Paradoxically the most beautiful street of Detroit was born from the aforementioned foreclosed houses and buildings we all know so well from the press and media. This street is Heidelberg Street, where a scene of desperation is transformed into hope in the form of art. 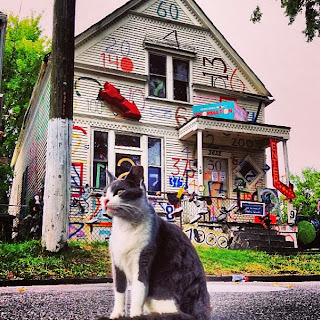 Visiting the Heidelberg Project was a unique experience, because one would not expect to find so much positivity in this kind of environment. 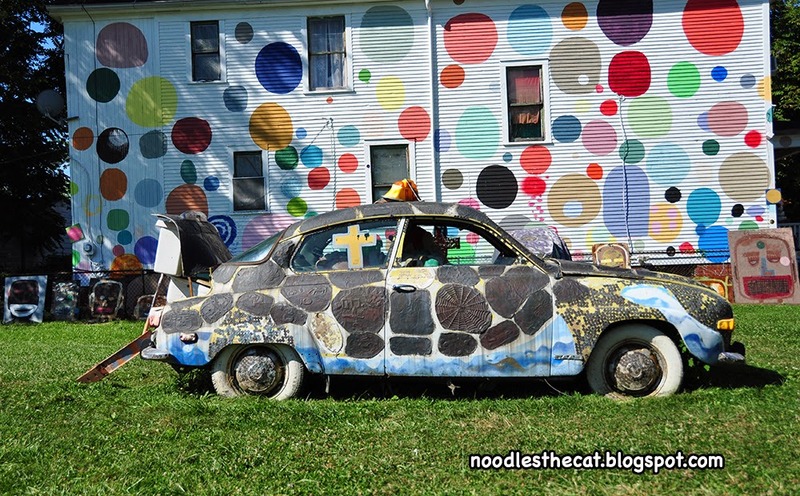 The Heidelberg Project can be described as an open-air art project. The best thing about this project is the involvement of a whole community connected through art. This makes it so powerful. Being creative can help you deal with the many problems of life. Especially when you realize that you are not alone. 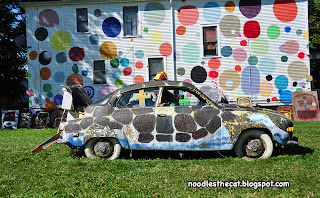 The many dots of the Heidelberg Project symbolize the circle of life. Every human being, no matter how different, is connected with one and other. When we were there we also met a very cute cat and of course we took a lot of pictures of her. After reading a tweet of the Heidelberg Project we realized we didn’t just meet a random cat, but we met Heidi from Heidelberg. So I approached them with a few of my questions about Heidi. It turns out that Heidi is the neighborhood cat. She’s a bit shy, but she has slowly gotten used to the attention. Nowadays Heidi has become a cat model and seems to enjoy getting her picture taken. In case you are wondering why Heidi is missing the top part of her ear, it is because she has been spayed. Clipping the ear is a way for the veterinarians to know that she has been already been spayed. Special thanks to Julia from the Heidelberg Project!